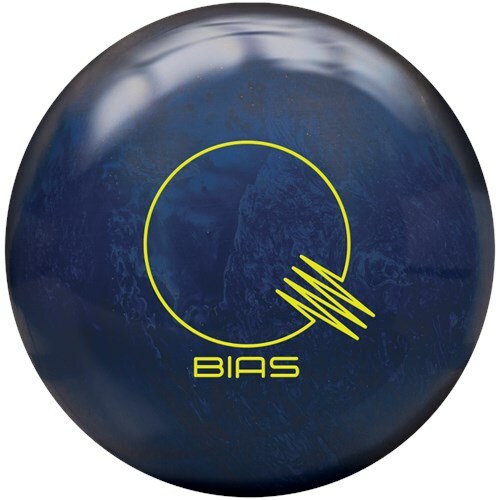 Brunswick's successful relaunch of the Quantum product line continues with the Quantum Bias Pearl. This bowling ball features high-density Quantum Mushroom High RG Asymmetric cores along with a thicker urethane coverstocks. This thicker coverstock offers durability, longevity, and massive hitting power. This ball is unique in that each core has a unique design to compensate for the gross weight of the ball, the core's dynamics, and the balls hook potential. The Bias Pearl uses Brunswick's ECA-XR Pearl coverstock formula to glide through the front of the lane and end with a strong backend reaction and excellent pin carry on medium oil lane conditions. I loved the 1st Bias. But I couldn't throw it pass the first game. This new Bias is the perfect compliment. Not only does it still get through the front of the lane clean, it gives much added length but still has the at original Bias Motion in the back. And nothing beats that Quantium sound when it hits the pins. Join the #THICKSHELL Revolution as Lane Side Reviews takes Brunswick Bowling's latest Thick Shell ball, the #QuantumBiasPearl to the lanes! Of all the recent Quantum releases, the Quantum Bias has been my favorite. Needless to say, I was interested to see what the Bias Pearl was going to do. For me, the Bias is the ball that is guaranteed to go longer for me than anything else in my bag. With a 2.56 RG and a 0.052 DIF, the ball is designed to go longer. Then, you put a pearl cover on it and this ball is a perfect combination for me when I need to get the ball down the lane and recover on the backend. My ball speed tends to be more moderate than some of the modern players out there so getting this ball to pick up for me early is not going to happen. However, when the fronts are fried and I need to get the ball downlane, this ball is perfect!